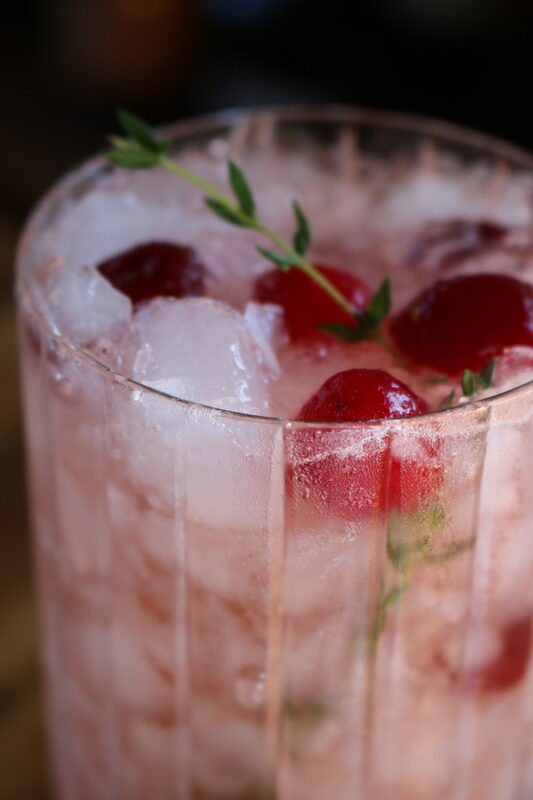 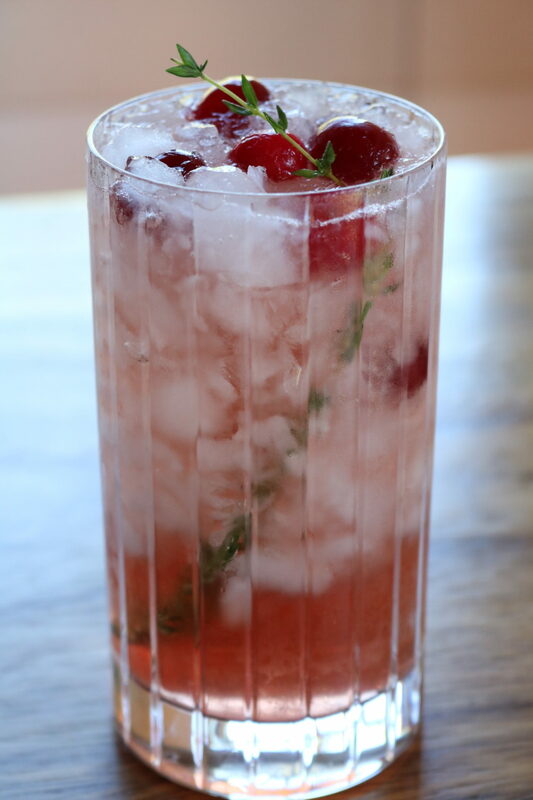 Fill 12 oz glass 3/4 full with crushed ice, 5-8 frozen cranberries, and a thyme sprig. 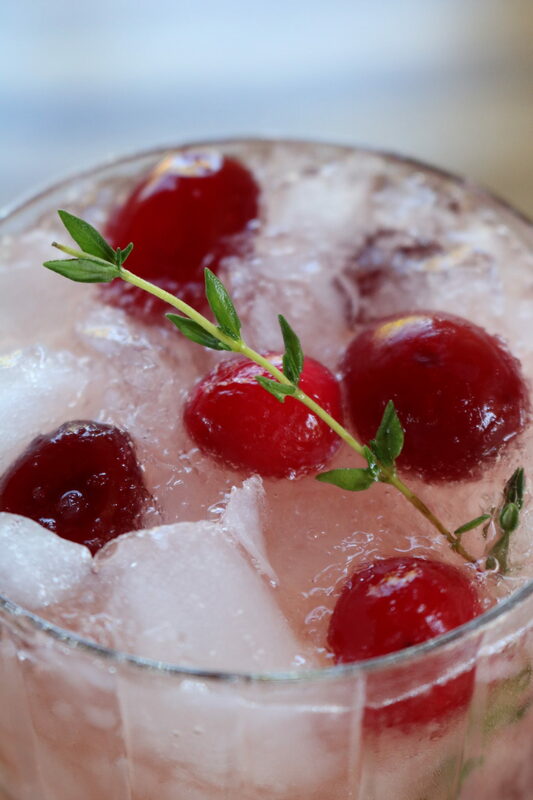 Add cranberry juice, gin, and tonic water to a shaker cup and stir – do not shake! 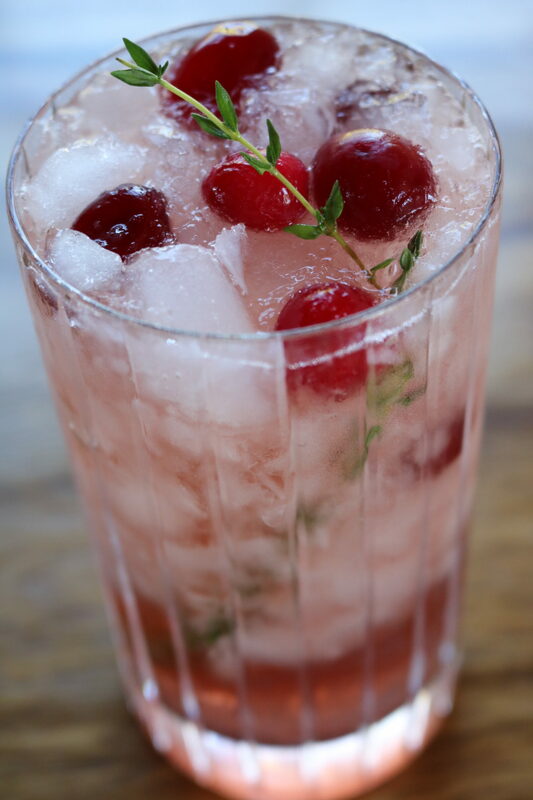 Pour over ice and garnish with an additional thyme sprig and optional lime wedge.